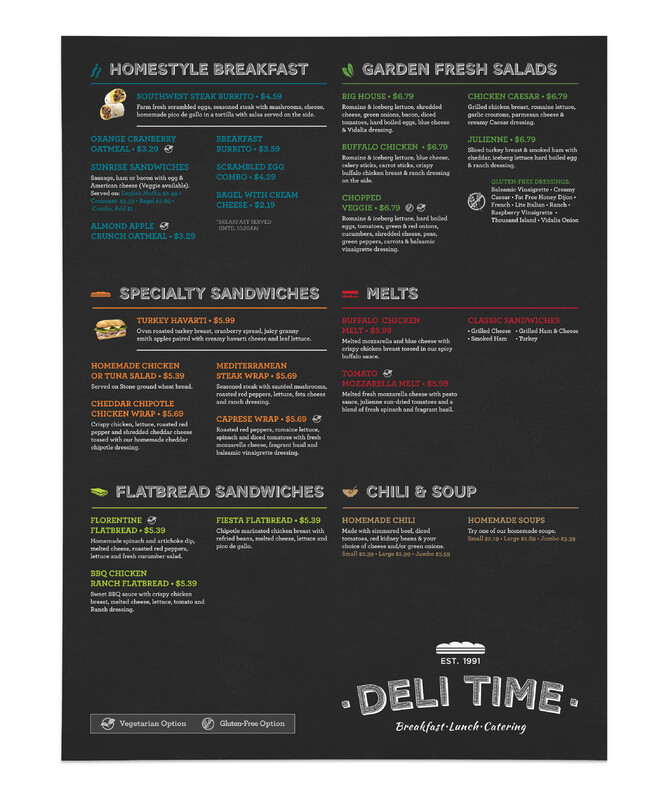 Deli Time is an in building restaurant chain that was branded by Frey Design. 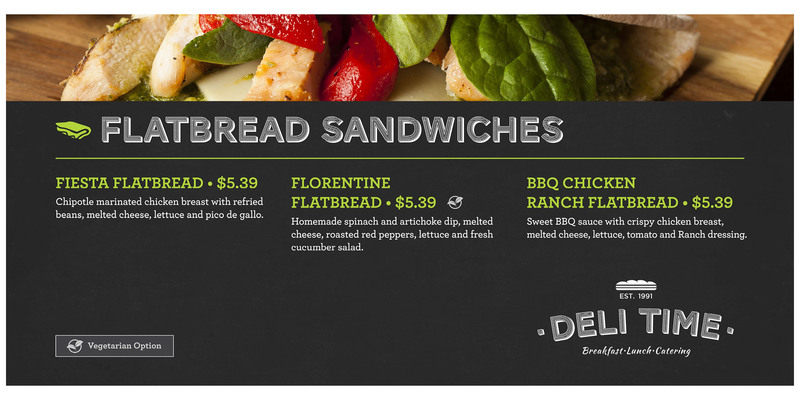 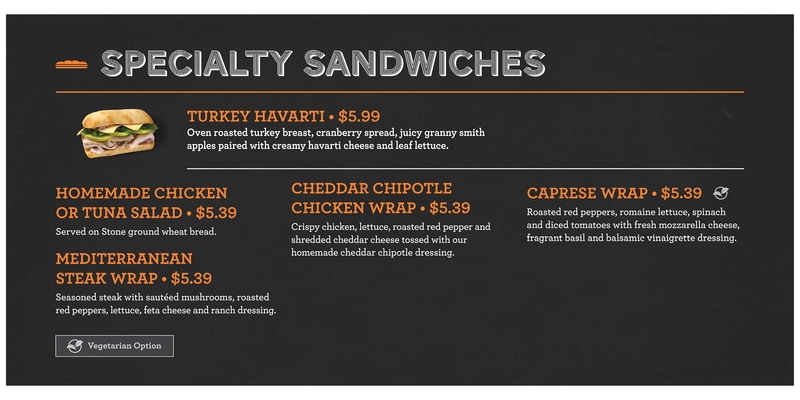 Although I was not a part of the initial branding process during my time at Frey Design, I was however tasked with creating multiple menu layouts for several Deli Time locations. 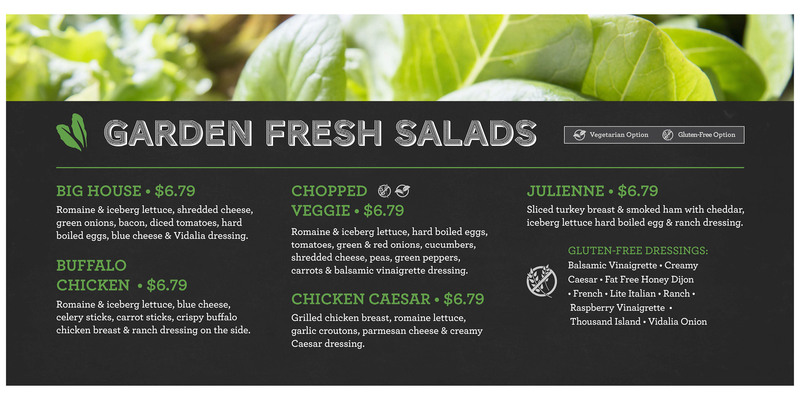 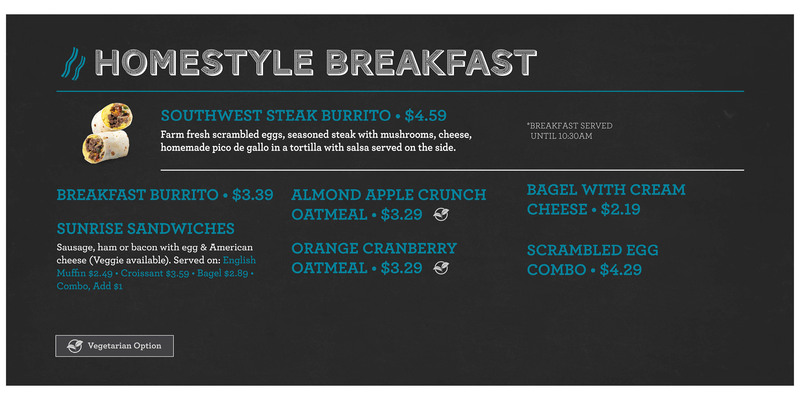 My goal was to establish consistent spacing throughout the variously sized menu boards and to make the content easy to read and navigate. 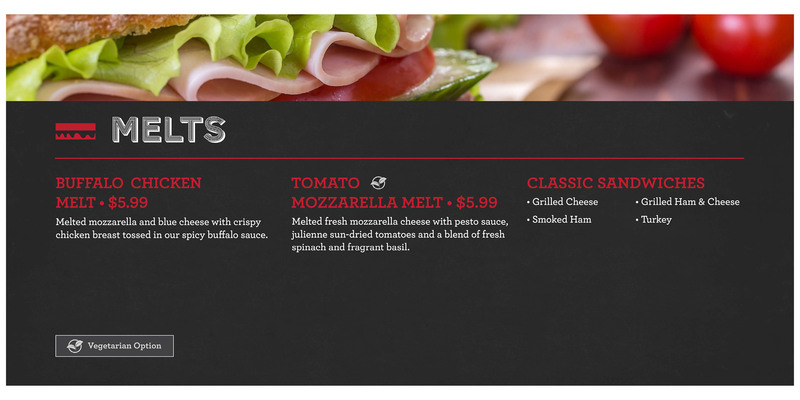 I also played a role in choosing some of the banner images seen on the main menu boards, for example the flatbread sandwiches image. 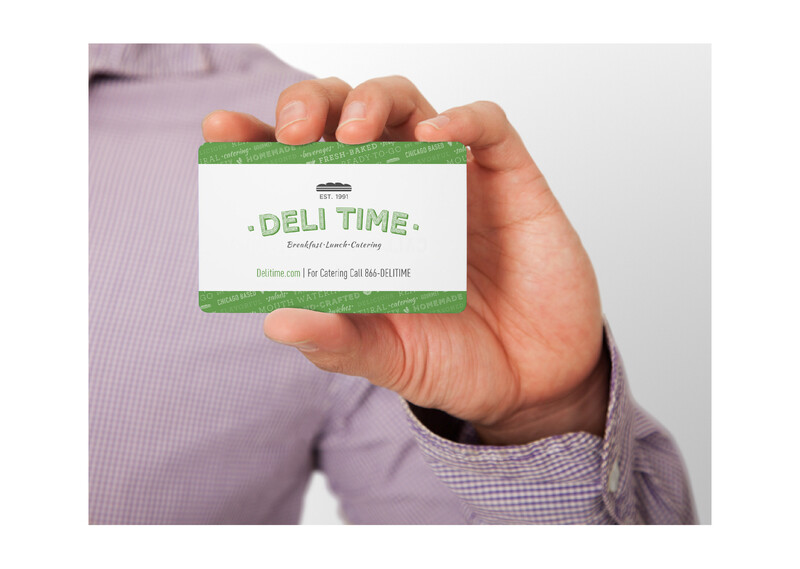 In addition to building these boards, I also created the Deli Time gift card by utilizing elements of their established branding.